The job description for nursing home nurses, also called Gerontological Clinical Nurse Specialists (GCNS) or Certified Nurses Assistants (CNA) care for the senior adults in a diversity of settings, including adult day healthcare facilities, hospitals, nursing homes, long-term care facilities and private physician offices. Gerontological nurses specialize in initiating treatment plans for patients with chronic illnesses and provide support for the patient and their families. These specialized nurses also perform a number of direct care practices in the form of changing dressings, administering medications and teaching patients how to navigate hallways and utilize facility equipment. Another job description for nursing home nurses is task-oriented care, where nurses are assigned specific tasks to perform for several residents on a specific ward. Due to this random assignment of tasks, nurses are routinely declined the ability to develop in-depth relationships with any particular resident. Another job description for nurses is resident-oriented care, where nurses are assigned to specific patients and have the ability to develop relationships with them. Patients are regarded more as family and nurses cater to their individual needs. 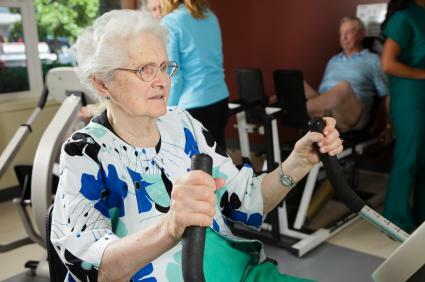 Some research has shown that residents who receive resident-oriented care experience a higher quality of life, because the residents are able to connect with their care providers. This allows the residents to rid themselves of feelings of loneliness and discontent. A new job classification called the Clinical Nurse Specialist in Gerontology / Genomics for nurses is defined as a clinical nurse that performs in emerging roles in genetics as it affects the care of seniors and their families. Genomics, or the study of genes and their functions, is advancing the understanding of aging and the onset of chronic illness. Employment opportunities in the field of gerontological nursing are typically good. Many seniors are living longer than ever before and some require the specialized care only provided by gerontolical nurses that have a dedication to the health care of these seniors.